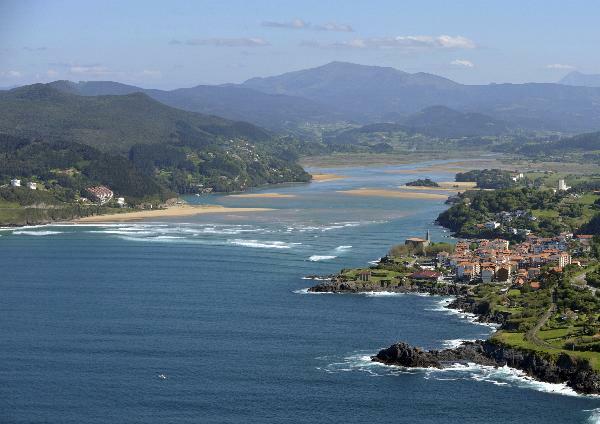 Set back from the ocean, sheltered by the Bay of Biscay, Urdaibai is located nestled into the Atlantic watershed of the Basque Country, in the north of the Iberian Peninsula. It is made up of several stark valleys that run toward the sea via an estuary. Persisting within the valleys we find a full representation of the typical environments of the Cantabrian coastal area. From the cliffs and beaches on the coast to the inland forests and rivers, there are also marshlands and flood plains, not to mention it is home to several archaeological sites and historical vestiges.